It is said that the average social media consumer reads 54,000 words a day and comprised in this are overt and covert messages that hit us right in the subconscious. So if we want to have an influence on these 54K words, we need to know what to say in order to actually make a difference. This is where Persado comes in. The analytics company that researches what words and phrases actually get our attention and motivate action is telling guiding us how to say them. With brands such as American Express, Verizon and Staples using the platform it’s no wonder they have just raised another round. 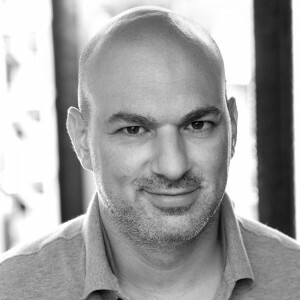 We spoke with cofounder and CEO Alex Vratskides, and discussed the recent round of funding as well as what is coming next for Persado. We closed a $30 million Series C round, led by Goldman Sachs, with participation from previous investors Bain Capital Ventures, StarVest Partners, American Express Ventures, and Citi Ventures. Persado eliminates guesswork from the process of message creation, arming marketers with actionable insights and cognitive content that allows every message to reach its true potential. Over thousands of campaigns,Persado has delivered a 49.5% average uplift in conversions, a 68.4% improvement on click-through rates and generated a billion dollars in incremental revenues. Prior to starting Persado, I co-founded Upstream, aEuropean mobile monetization platform. After sending SMS campaigns to millions of people every month, the team noticed that changing one word in a message significantly affected response rates.With some experimentation and a lot of math, we engineered a way to generate the maximum set of message permutations, test a representative sample, and determine the best message for driving action.This solution is no novel and effective that we spun it out as a separate business in 12/12/12. We established our headquarters in New York City, the media and marketing capital of the world. Persado, like IBM Watson, utilizes cognitive computing to improve on a traditionally human task – in our case, message creation. However, Persado is ahead of Watson in end-to-end applicability and commercialization. Leveraging our unique insight into rational and emotional triggers, our technology generates data-driven messages that unfailingly resonate with audiences and inspire them to act.Over the 45+ million unique marketing messages in which we’ve deployed cognitive content, Persado has delivered a 68.4% averagelift in click-through rates and $1 billion in incremental revenues. What market are you targeting and how big is it? Persado now has over 80 customers, primarily globally recognized brandsincluding Citi, Microsoft, Verizon Wireless and others. Cognitive content is certainly a perfect fit for digital marketing, but in general applicable in any sector where you want to inspire action. 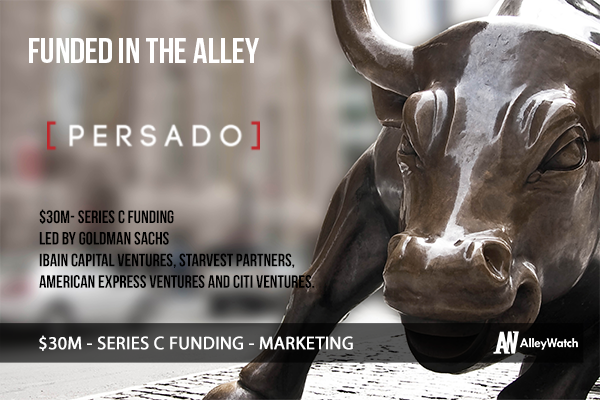 Persado has been privately funded since inception. We’ve raised $66 million in three rounds of funding. We’ve doubled our business year-over-year and expect to continue. Now that you’ve raised a significant amount of funding including some later stage rounds – how has the strategic direction of the company changed? For practical and logical reasons we focused on marketing as a way to prove that cognitive content can improve consumer engagement. We expect to keep expanding our global footprint on that front, but we are also very excited to explore where else we can use cognitive content to inspire action – from fitness motivation to medicinal adherence. It’s widely reported that it’s a down market for investing, but we went into it with confidence. When you execute well against your plan, it does not matter how the investment environment looks like – the entrepreneur will always be in the driver seat. We received a huge bump in valuation over a year, despite the negative climate of the market. They were inspired by our unique technology, standout results for customers and impressive growth. We are laser-focused on improving our technology to improve the deliverability of cognitive content onto more channels such as display and Facebook, and to generate consistently impressive ROI for our customers. Control costs, and be single-minded about revenue, customer success and product. There may be a “storm” out there, but the ones that will make it through will eventually thrive. Growing our customer base, expanding on channels – we are very excited about our paid media launches (ad display, Facebook), and expanding verticals. Previous What is the Core of Your Startup?